I created this elimination communication infographic to help explain EC (a.k.a. natural infant hygiene, infant potty training or diaper free) to a local baby group. This EC Infographic summarizes: What is EC? ; Benefits of EC; Insights; Big Picture; When & How to Offer Pottytunities, and EC Resources. Please feel free to pin the infographic to Pinterest or share this post on Facebook or Twitter. Let's spread the word about the benefits of elimination communication! Gentle toilet learning for babies beginning at 0-18 months. Communicating about Baby's elimination needs. Allowing Baby to pee or poo in a potty, toilet, or nature. 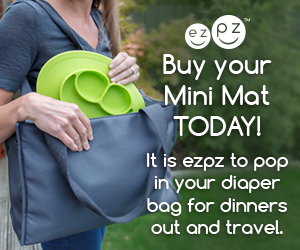 An alternative to complete reliance on diapers. Newborns are aware of their need to eliminate and attempt to communicate their need through signals. Babies do not want to soil themselves or their caretakers. Babies normally do not pee during deep sleep. Average Age of Potty Independence in the U.S. Early potty training got a bad reputation in the U.S. because it was once associated with harsh training methods. Throughout much of the non-Western world, infant toilet training is the norm. In India, China, Southeast Asia, Eastern Europe, the arctic, and parts of Africa and Latin America, parents leave baby bottoms uncovered. More than 50% of the world's children are potty trained by 1 year old. The baby diaper market is projected to reach USD 52.2 billion globally by 2017. With EC, the investment is the parents' time, love, and presence. That's it for the elimination communication infographic. Next is a list of Small Cloth Training Pants for Elimination Communication. How would you explain elimination communication to someone who is new to EC? Thank you for such a concise summary of EC. I love the graphics you have created to explain the process and practice. Excellent. I appreciate pictures of the different clothing options a s well. I have been doing EC with my 12 week old baby for 9 weeks and was researching simplified clothing options when I found your site. I wish I had found it sooner, it is so helpful! Thanks for your message. I’m glad to have helped in your EC journey. Dressing my son in a t-shirt, cloth diaper, and leggings was so much easier than a one piece body suit!